Loans shouldn’t scare you. Sure, they can sometimes be a little intimidating, but with research, you will know the ins and outs of all your loan options so that you can become an expert on which rates will best fit your needs. 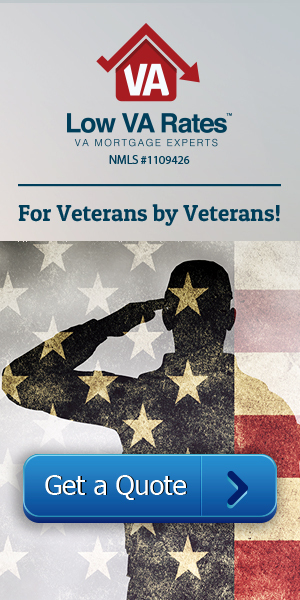 It’s important to understand that the VA hybrid loan includes both fixed and adjustable rates. Thus the name “hybrid.” For a designated period of time, the rates will be fixed, but after that they will fluctuate—up or down—just like a conventional ARM. But why? This type of loan gives the borrower the positive aspects of both a fixed-rate and an adjustable-rate loan, as well as even more benefits than either offers. With a hybrid loan, you will initially have much lower interest rates than your typical fixed-rate loan, and at the same time, the hybrid is more stable than a conventional ARM. There are a few other “thumbs-up” for the hybrid loan and definitely some risks to go along with that. But right now, let’s break down the different rates you will find with the VA hybrid loan. The fixed-rate period kicks off the start of the loan. For a period of at least three years, your interest rates will be fixed. This term is also offered for periods of five, seven, or ten years. During this time, your interest rates won’t adjust, allowing you to build equity and save money. One of the great things about the hybrid loan is that, even though this period works the same way as a fixed-rate mortgage, the rates are generally lower than your average fixed-rate loans by one to two percent. That will make a huge difference in your monthly payments. After the fixed-rate period is over, the hybrid loan will give you adjustable rates every year afterwards regardless of how long the fixed rate lasted. But the hybrid loan will re-amortize at this switchpoint, which is a very good thing! It essentially means the lender cannot charge interest on money you don’t owe. The change in interest is then determined based on the margin, the index, and the caps—the same way rates are determined for any ARM. This is the starting point of determining your new interest rate. There are many different indexes that lenders can turn to, but the VA uses the CMT index (1 year treasury). This index provides a benchmark that the lender will use as a base to determine your interest. This number indicates whether rates will go up, down, or stay the same. The margin and index are added together to determine your new rate. The margin is a number that will not change over the course of the loan’s life. It will be set in the official documents of the loan. All VA hybrid loans have caps, or limits, on how far your interest rates can rise. The highest your rates can rise each year after the fixed-rate period is one percent. They also cannot rise any higher than five percent over the entire life of the loan. So if your initial fixed rate was calculated at 2.5 percent, that number can go no higher than 3.5 percent the following year and 4.5 the year after that. The interest rates also cannot go any higher than 7.5 percent until the end of the loan’s life. Now, a 7.5 percent interest rate probably sounds like a lot, and it is. However, you should remember that the first period of the loan allows you to pay a lot towards principal, and there is always the possibility that interest rates could drop. Are these rates a good fit for me? To figure out if the VA hybrid loan will match your needs, take a look at where your income will take you in the next few years. Are there any other large payments you can predict to make in the near future? Just like any other loan, the VA hybrid may not be a good fit for you, but if the benefits of the hybrid look promising for your situation, talk to a loan officer today.